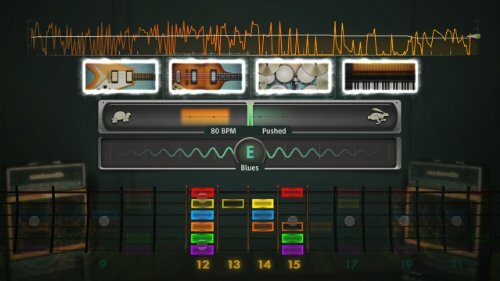 With a completely redesigned interface and all-new features, Rocksmith 2014 Edition is tailored to better teach the key elements of guitar playing, and to make learning faster and more fun than any other method. A new fully customizable "Riff Repeater" lets players select any section of a song they want to play, and adjust the difficulty and speed on-the-fly. 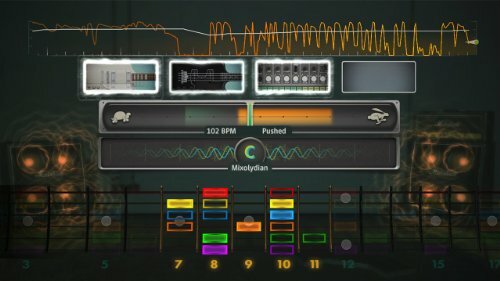 A new "Master Mode" makes playing by memory more approachable and new "Guitarcade" mini-games have been created to hone specific guitar skills. With these flexible and deep practice tools, it’s never been easier for players to play their favorite songs on guitar or bass. You can also experience "Session Mode", a groundbreaking technology that enables players of any skill level to play guitar with a virtual band that jams along with them. Players can select the style of music and the particular instruments they’d like to accompany them and the rest happens dynamically, adapting live while they play. - A proven method to learn guitar fast: National research studies have found that Rocksmith is the fastest way to learn guitar. Over 95% of players have improved their guitar skills. Whether you're a beginner just picking up a guitar for the first time, or a seasoned player mastering your sound, Rocksmith gets you the results you need, fast. - A reimagined experience: Newly redesigned menus and in-game interfaces are now clear, smooth, and lightning fast. It's never been easier to play along and get feedback on your performance as you go. - Learn your favorite songs: Select from over 50 new hit tracks, ranging from alternative rock, to heavy metal, to classic rock, and more. You will learn to play your favourite songs, step-by-step and note-for-note, with tutorials along the way. 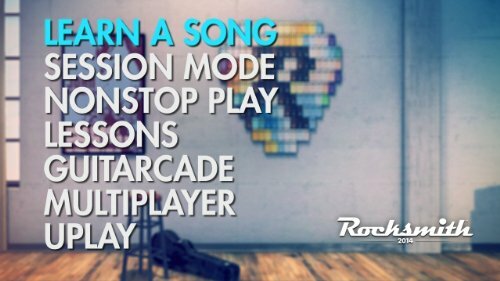 Rocksmith 2014 Edition is also backward compatible with the songs you have from the original Rocksmith. - Designed for ease and speed: Features are now more accessible and flexible than ever. A new fully-customisable Riff Repeater lets you select your section, difficulty, and speed on-the-fly. Master Mode has been revamped to make learning by memory more accessible. Or jump into new and improved Guitarcade mini-games to hone your skills. 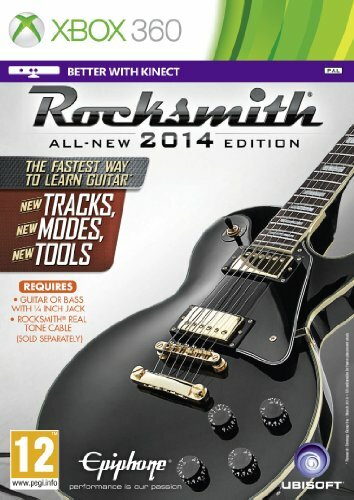 - An authentic guitar playing experience: Rocksmith 2014 Edition includes new tunings, techniques, effects, amps, pedals and tones for an unprecedented degree of accuracy and a deeper level of guitar learning than ever before. - Learn to jam with Session Mode: Session Mode lets you experience playing alongside a virtual band. Choose your own combination of instruments to follow your lead. With on-screen prompts and objectives that motivate learning and improvement, you can enjoy the feeling of jamming whether you're a beginner or advanced player.